Trunk Diner was suggested by a work colleague a long time ago to Hollywood when the list of Melbourne Fried Chicken joints was first constructed. The chick was away in Asia doing her thang so Hollywood and The Spice Girl joined forces and hit up Trunk Diner in search of another crispy finger lickin’ fried chicken adventure. 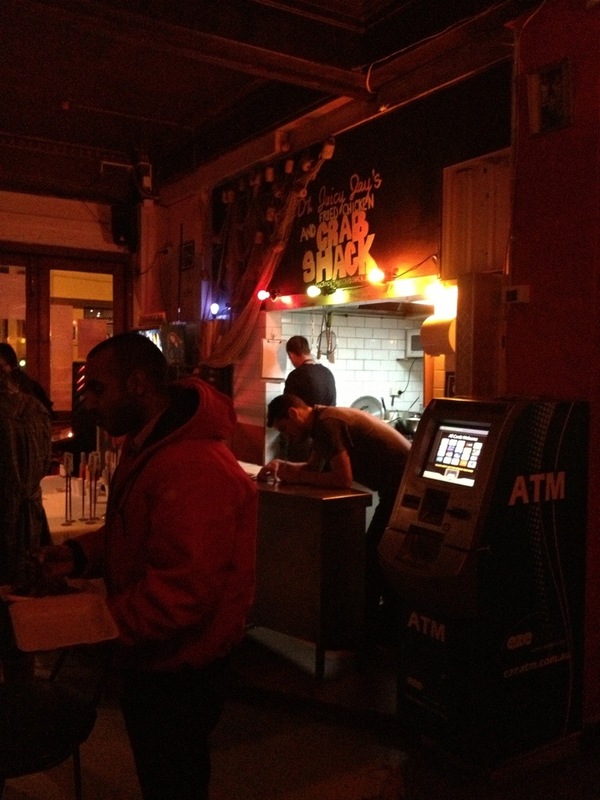 The diner, which was separate to the actual restaurant and bar, had a good casual cozy vibe. 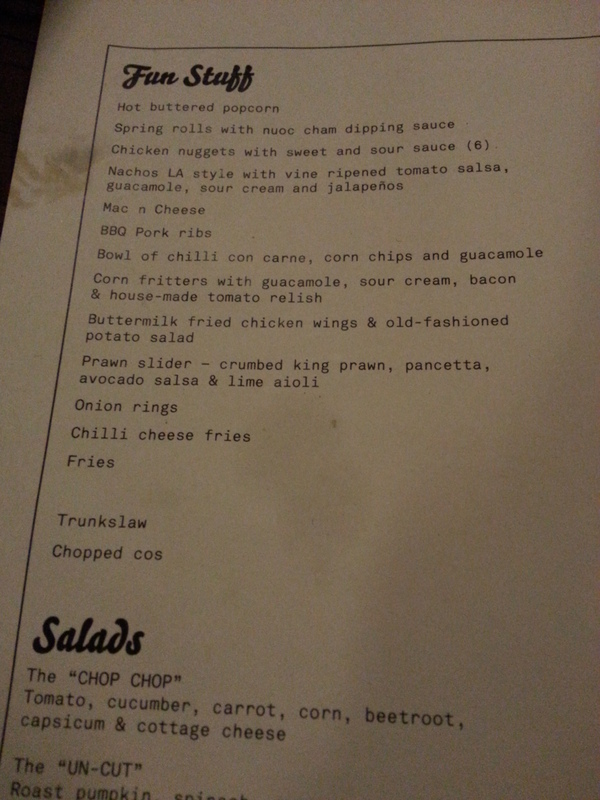 The menu was well designed but threw a curve ball at us when we realized that it was different than the online version and they didnt have the the Buttermilk Fried Chicken Kebabs, Shame on you Trunk! After some serious discussions we decided to go for the Mac and Cheese, Corn Fritters with guacamole, sour cream, bacon and house made tomato relish, buttermilk fried chicken wings and potato salad, and the Wagyu burger with gruyere cheese and sauteed mushrooms. The food came in all at once. 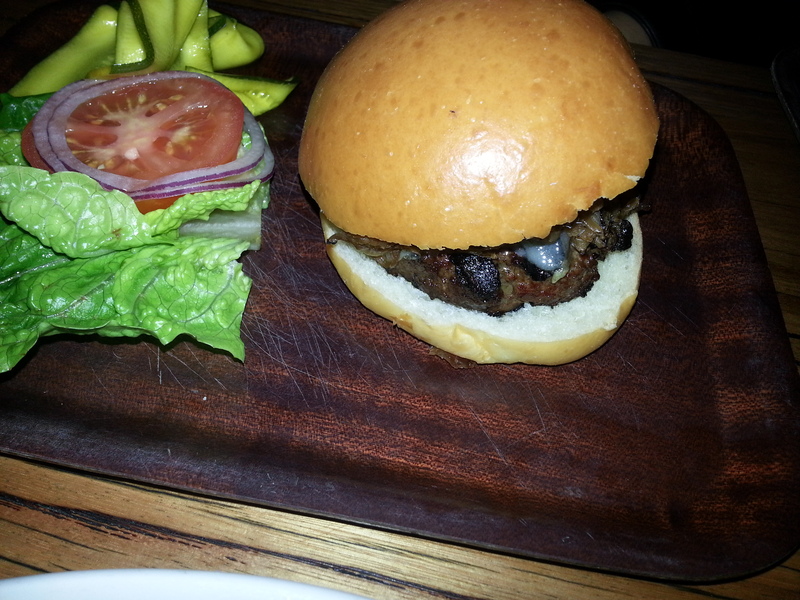 The burger was ok but the taste of char-gill overpowered all the other flavors which was a shame because the meat seemed thick, juicy and tender. Overall it was average and not memorable at all. The corn fritters were ok but seemed a bit cold and not fresh at all. Our suspicion here is they mightve been reheated. 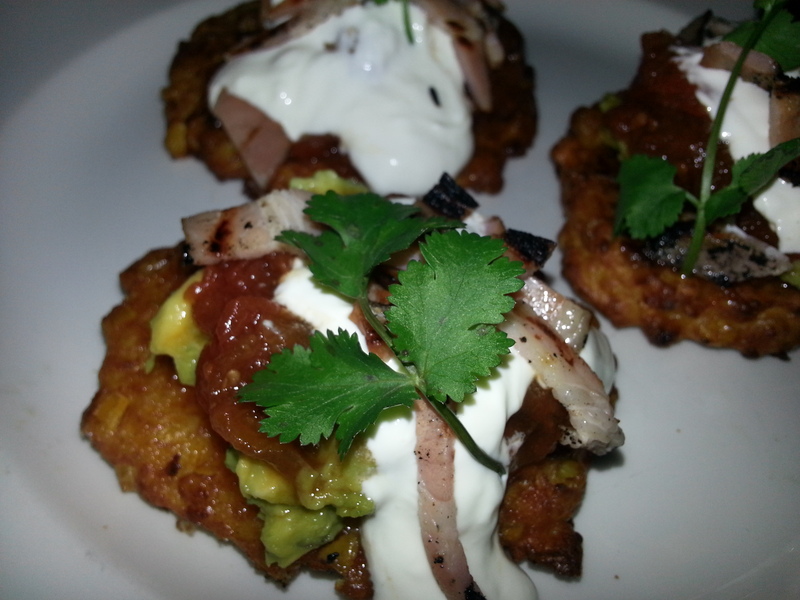 The guacamole, bacon, sour cream and tomato relish were doing their best but the main ingredient (the corn fritter) couldnt seem to pull it all together. It just didnt have that freshly cooked hot moisty character that you would really crave. 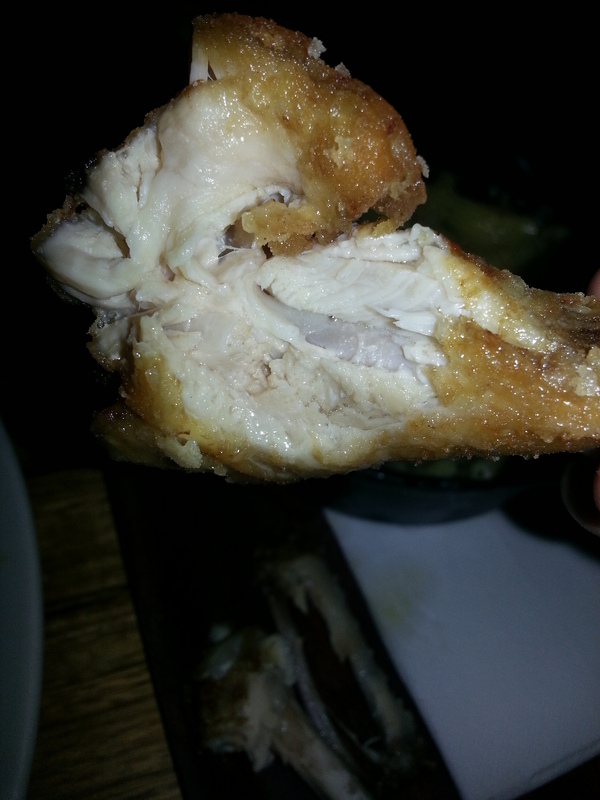 The chicken was a big disappointment at Trunk. 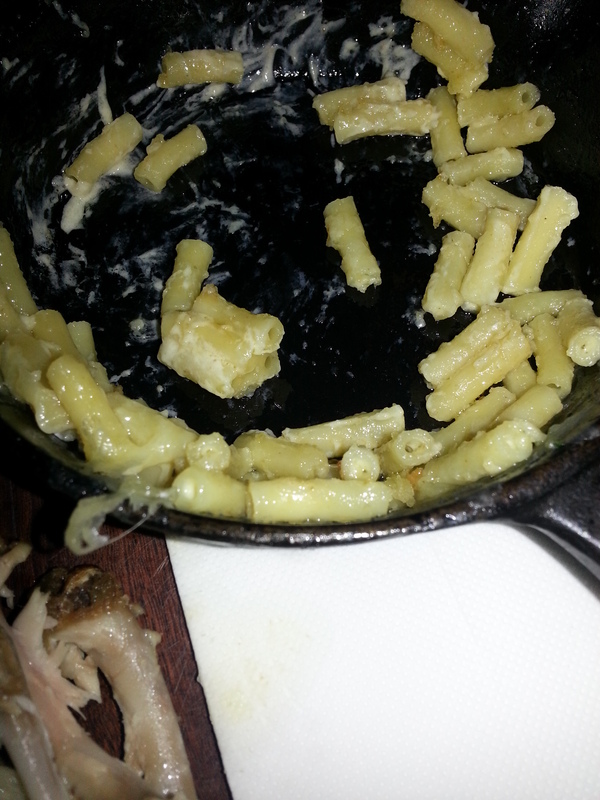 It didnt seem freshly cooked at all, more like reheated. The coating was very basic and their werent any spices at all. The Spice Girl reckoned that the potato salad was a store bought salad. This was the worst chicken dish we have tasted so far. 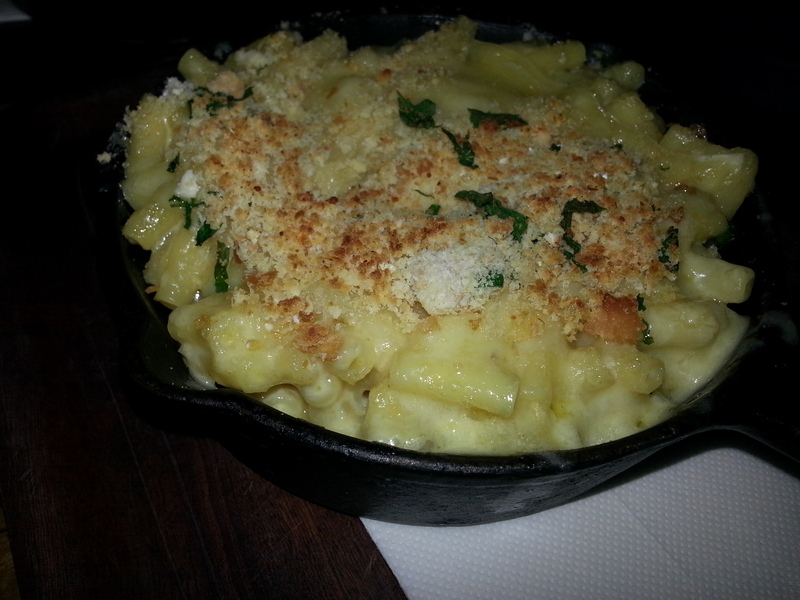 The only good thing about our order was the mac and cheese. It was hot, creamy and just a little bit crunchy on the surface. After the big disappointment we had we were a bit hesitant about getting dessert. The spice girl had high hopes for the Tim Tam Slam Milkshake and it was highly recommended by the waitress so we ordered one to share. 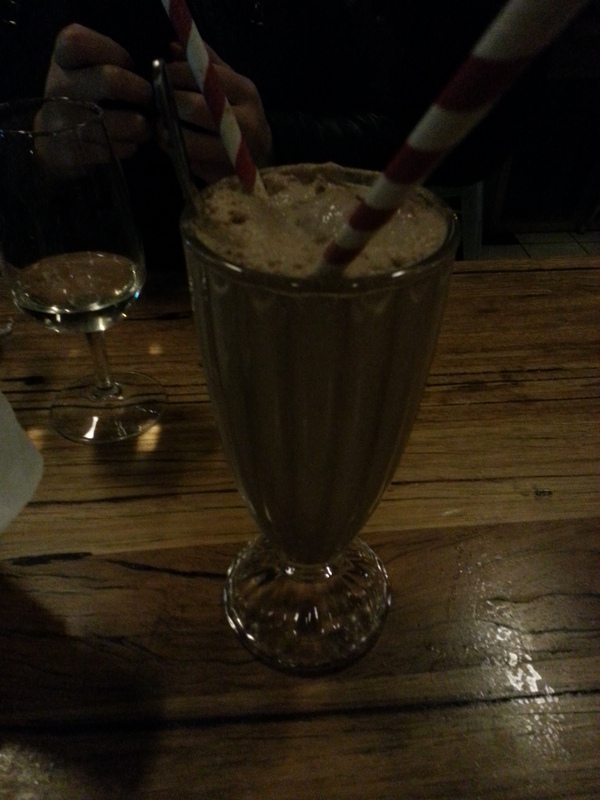 The shake was below average. It was warm and didnt seem blended at all with only a few traces of TimTam flavors. We finally broke our silence and finally complained to the waitress but that didnt get us anywhere really. Overall, our experience was very bad. 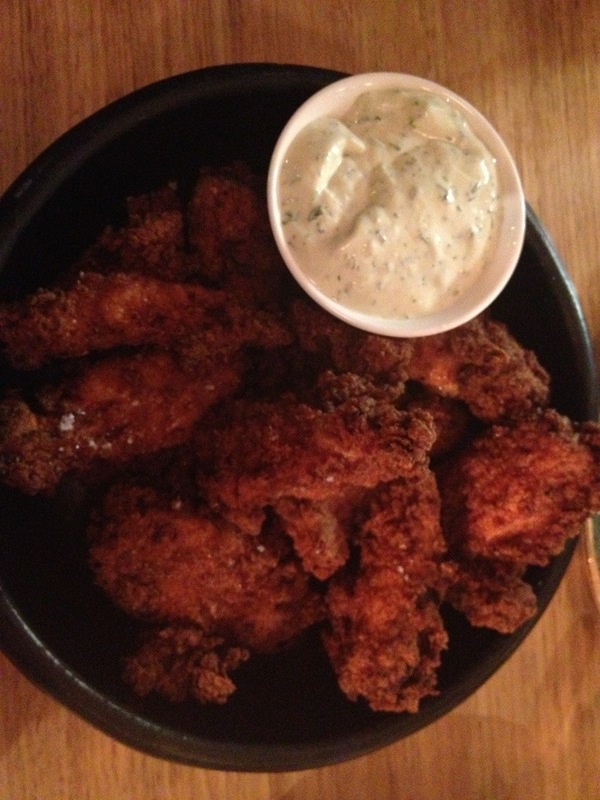 If you are thinking of good fried chicken then do yourself a favor and skip this place because we guarantee that you will find a much more memorable experience across the road at Gami or if worse comes to worse The Chicken Scene reckons that even a fast food option (yes even KFC) would be better. 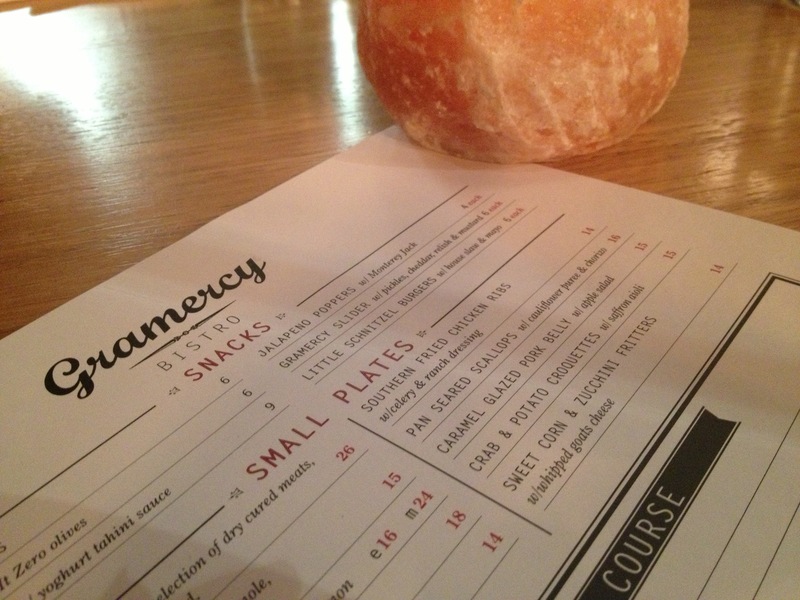 The Cullen in Prahran has an upscale eatery attached called Gramercy Bistro. It had been written up as one of the top 10 best places for finger licken Southern Fried Chicken in Melbourne, so we had to check it out. 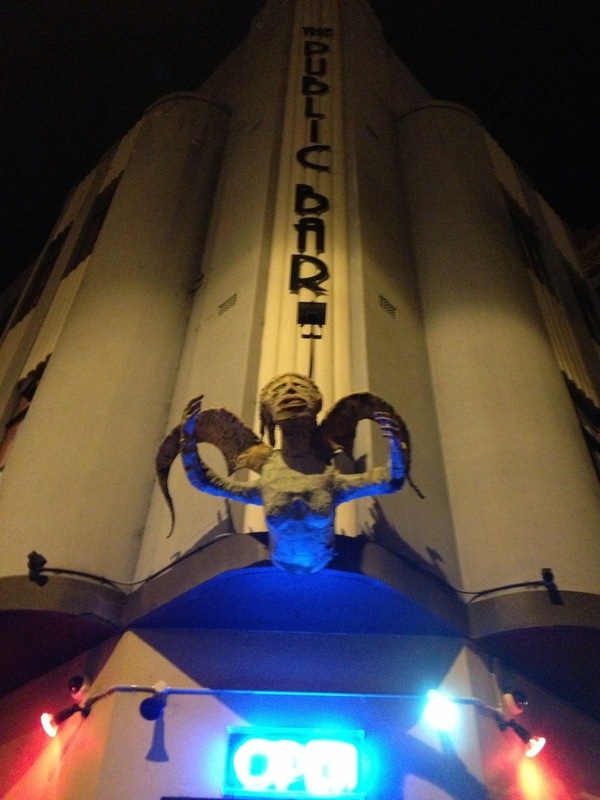 It is also conveniently on the way home from work for the Chick, so it was a perfect option for a quiet Friday night. We arrived in time for “Wet Hour” (like happy hour but wetter). The Chick went for the $5 Mojito which was a bit too sweet but good enough for $5 and Hollywood tried a local St. Kilda brew. 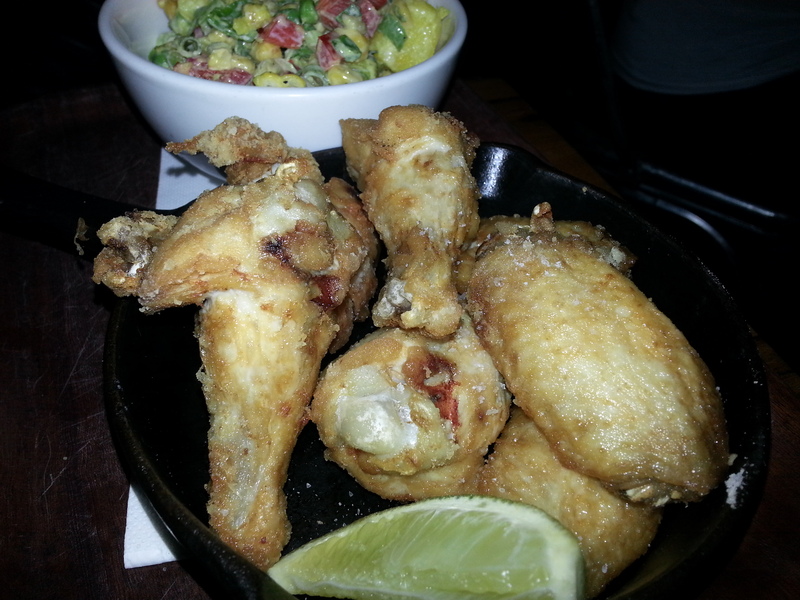 The menu hid the chicken in the Small Plates section labelled “Southern Fried Chicken Ribs”. As an American, the Chick found the phrasing odd, making it seem less like chicken and more like beef. 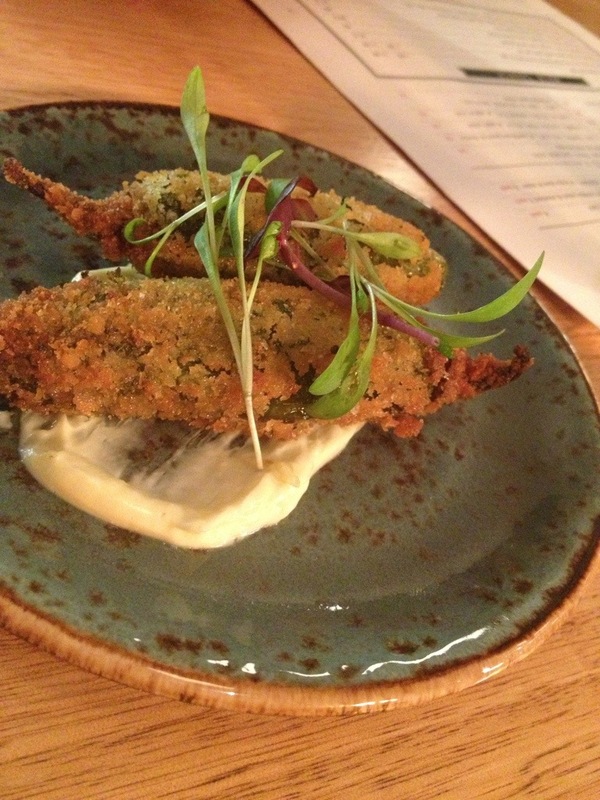 Add to that some Jalepeno poppers, beetroot carpaccio, zucchini fritters and a burger to share and we had a meal. 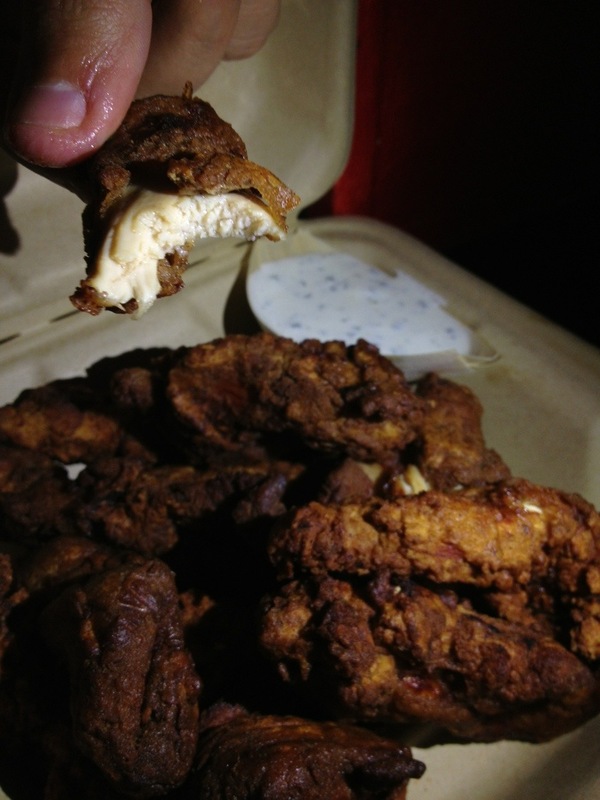 We were warned that the poppers varied in spiciness, so the Chick was pleased to find they were on the hot side. Good, but we’ve definitely had better. 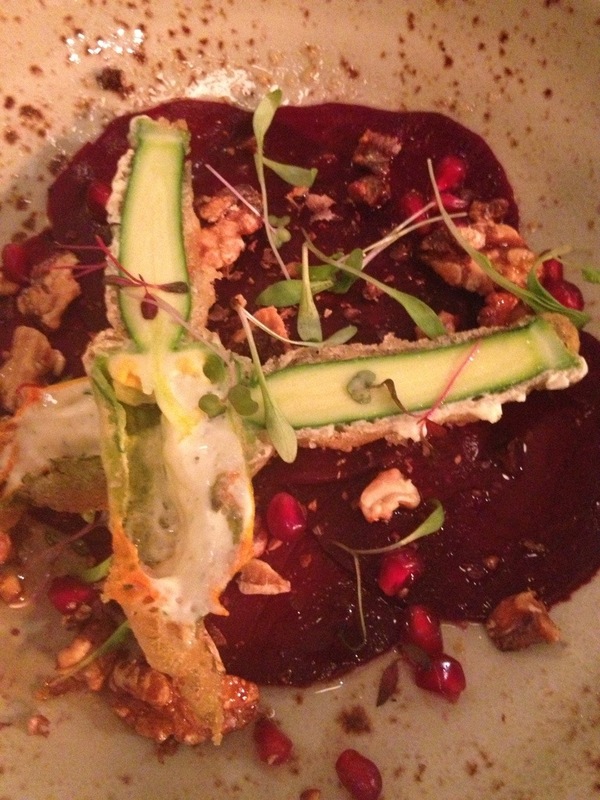 The beetroot carpaccio came with a stuffed zucchini flower, fried, plus walnuts, and pomegranates seeds. The flowers were nice, but the beetroot lacked a bit of flavor, it worked well wrapped around the zucchini flower. 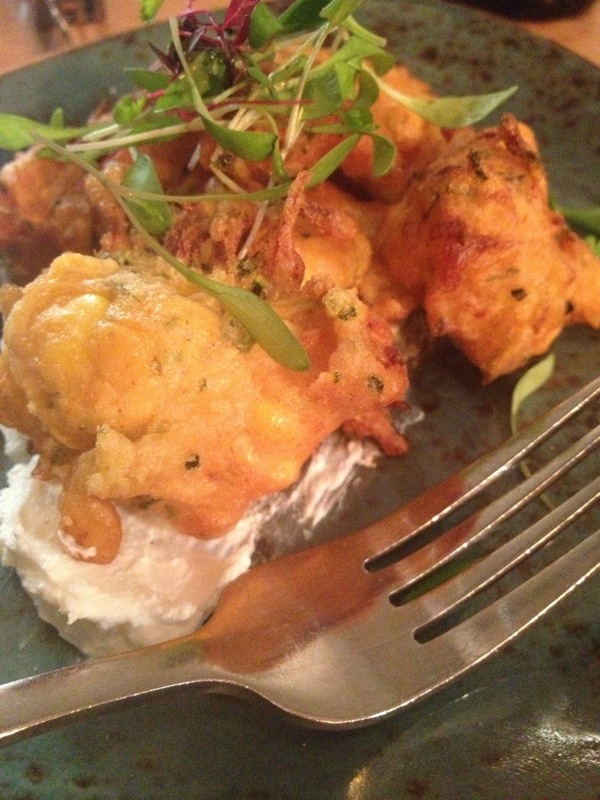 The zucchini fritters were the best of the entrees, with a light flavor and lovely whipped goat cheese on the side. More please! 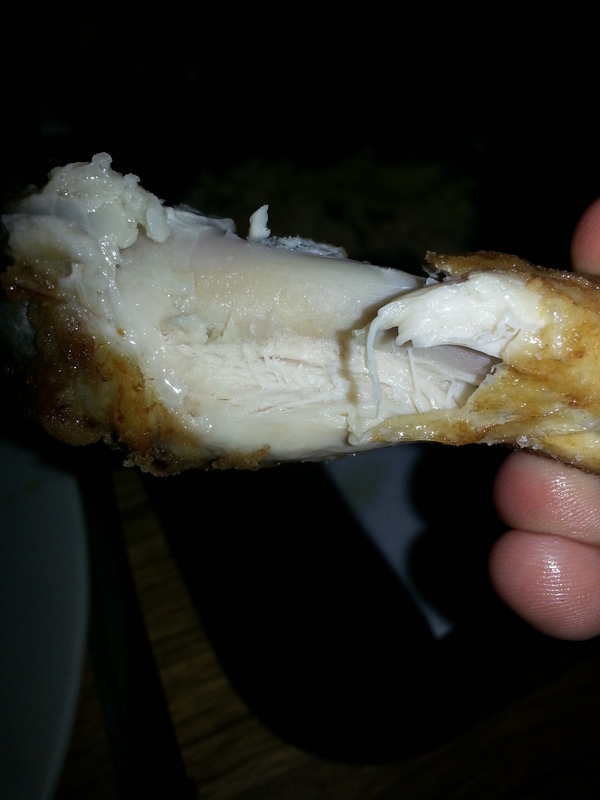 The Chick was very disappointed with the Chicken ribs. 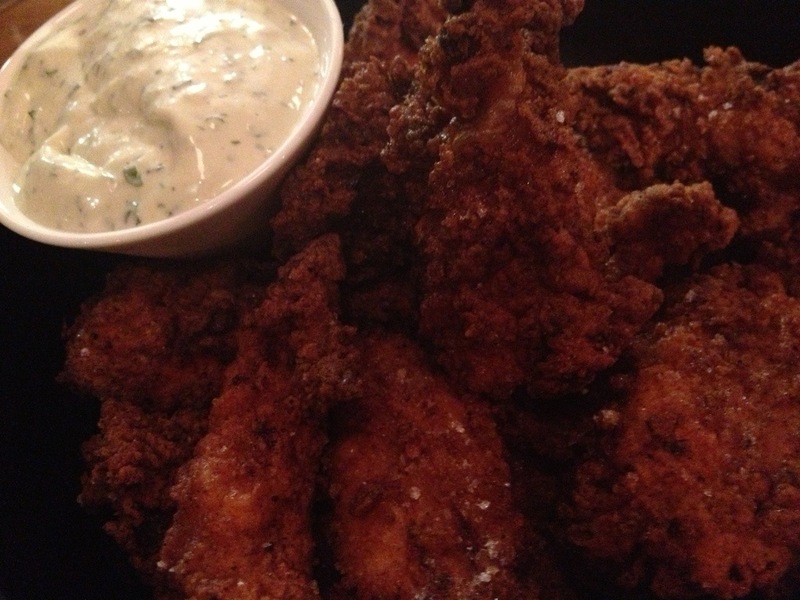 They were the right texture, good chicken pieces, fresh and came with a nice dill dipping sauce. 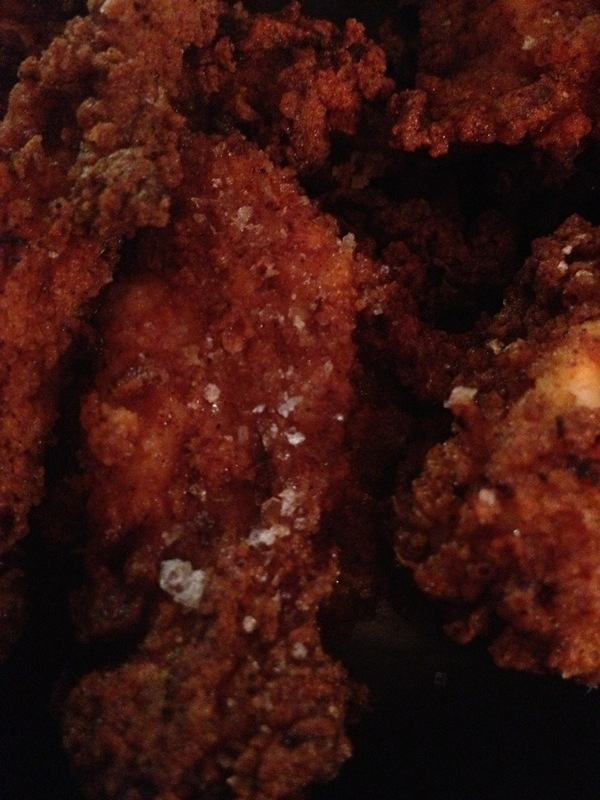 But the breading was so salty it overpowered everything else. Hollywood was happy to consume the plentiful pieces left by the chick (a very sharable portion) but agreed it was saltier than he’d prefer. 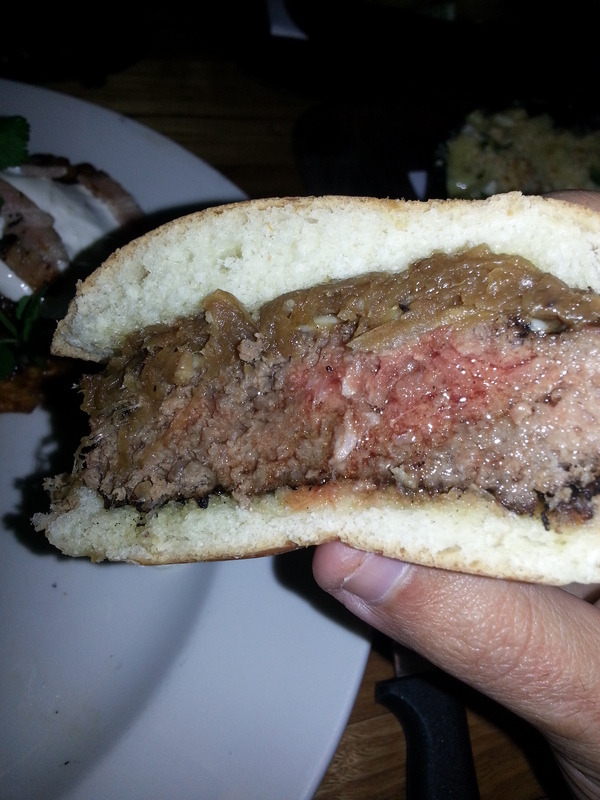 The burger came from the grill, so was a bit charred. 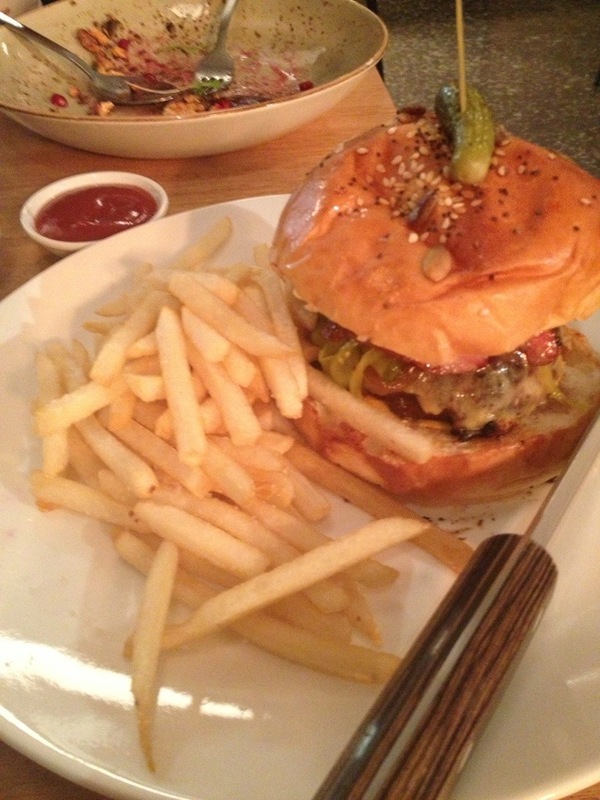 Not a star burger, but it was packed with yummy bacon and came with garlic aioli and nice thin crispy fries. For dessert we ended with a delightful white chocolate cheese cake. It was a decadent morsel perfect for sharing that had the right balance of flavors. The bill added up quick here, and the plates are hit and miss. 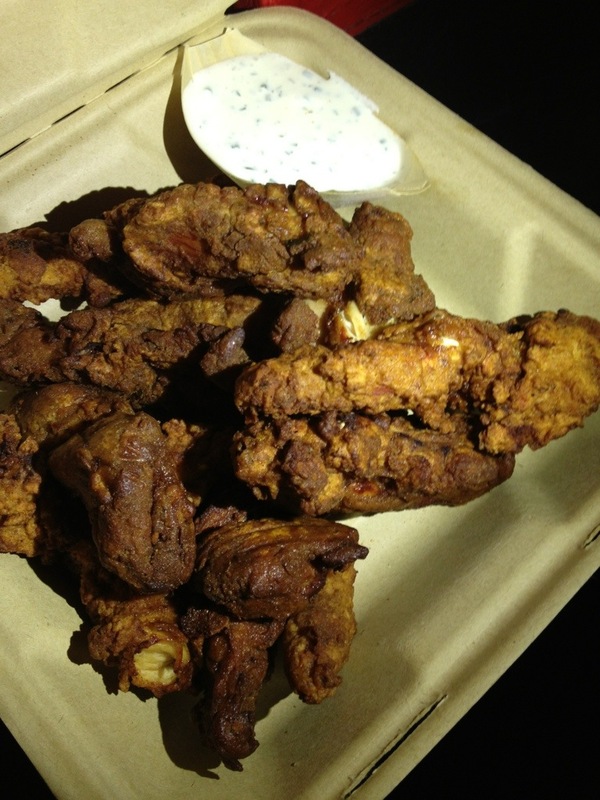 The Chick wouldn’t go for the chicken, but would go back for the fritters, however Hollywood found a good option if you are in the neighborhood. It’s been a bit since we have explored the latest in the Melbourne Fried Chicken scene and we just found out about a new contender, so it’s time for some good ol finger lickin’ fried chicken. 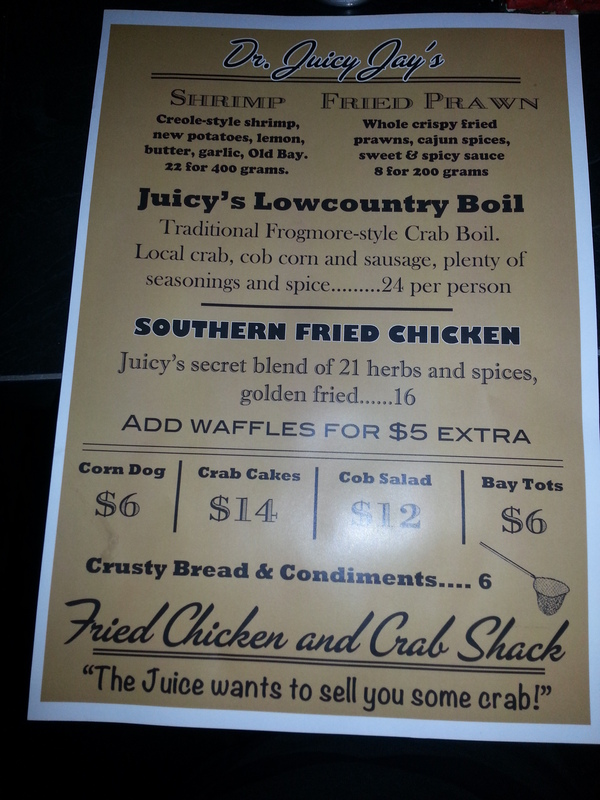 Dr Juicy Jay’s has all the potential to be the next big thing in the land of fried chicken especially with a hip name like Dr Juicy Jay’s Fried Chicken and Crab Shack. Dr Juicy Jay’s is located in The Public Bar, a live music dive bar in North Melbourne, a suburb that holds special memories for Hollywood. We reached the Public Bar and we have to admit that this place lived up to its reputation as quoted “The Public Bar, with its peeling paint, sagging couches and toilets that promise an olfactory adventure, is probably the only joint divey enough to do this food justice. “It’s a shithole,” says Will. “I love it.” So will you.”. How can we resist a place with a description like that? We went during the week and the place was full of patrons savouring the limited menu and one table was taken up by a photo shoot. I can only assume the result is now gracing their facebook page. We managed to find a spot at the bar and put in our heavy order of Shrimp (Creole style shrimp, new potatoes, lemon, butter, garlic and old bay), Juicy’s Low County Boil (Traditional Frogmore-style Crab Boil of local crab, cob corn and sausage with plenty of seasonings and spice), and most importantly, the Southern Fried Chicken which was described as Juicy’s secret blend of 21 herbs and spices, golden fried. Then the Chick noticed the Corn Dog on the menu and had to put in a second order, it is rare to find good corn dogs outside county fairs and it was worth a shot! The food arrived gradually. The shrimp arrived first which was a big portion of 22 pieces of shrimp drowned in a great garlic butter sauce with lemons and potatoes and accompanied by hot sauce. The shrimp was hot, succulent and tasty full of garlic/butter/lemon flavors. 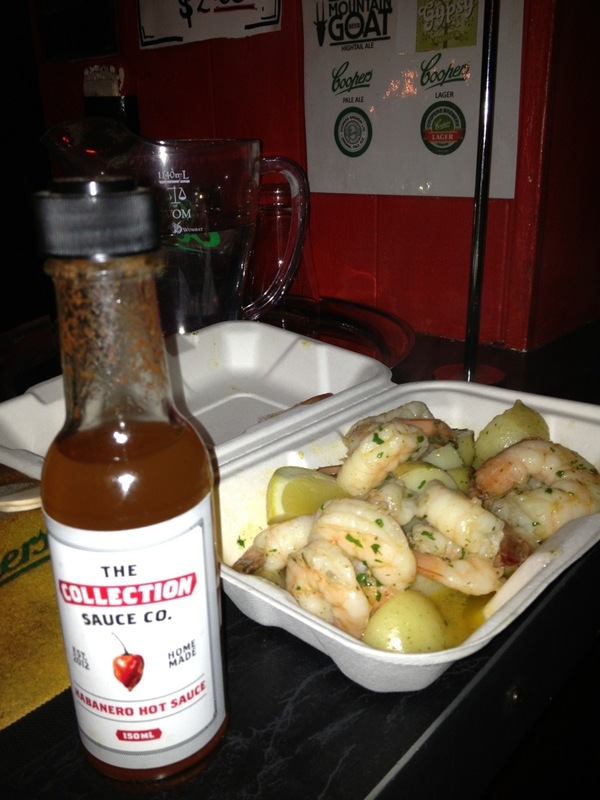 Some of the best garlic shrimp we have ever had. 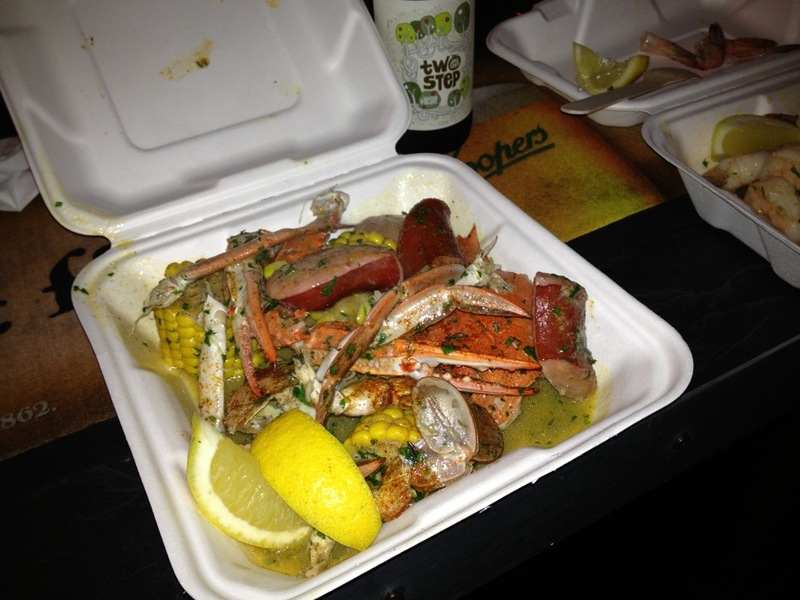 Shortly afterwards the crab boil arrived accompanied with sausage and cob corn. 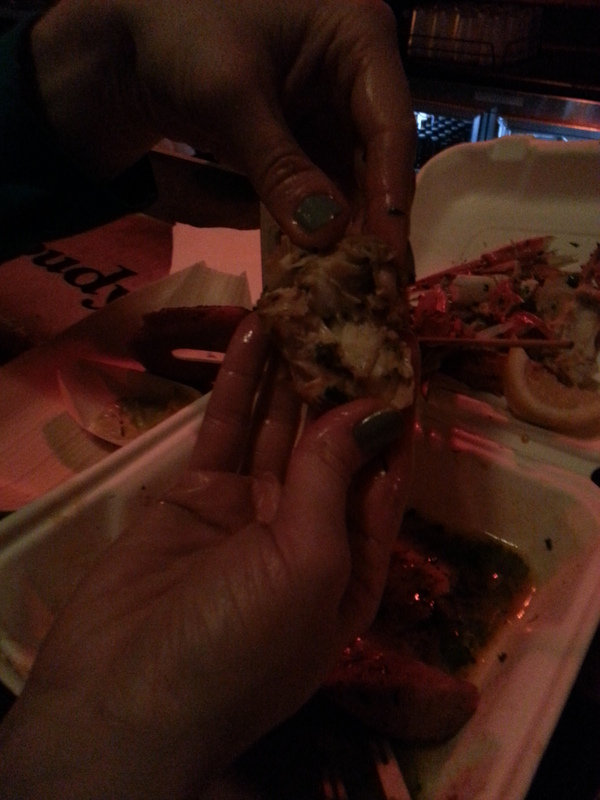 The crab was superb and the Chick smashed it with a great sense of joy. The crab was fresh, the butter was perfect and the sausage matched well. It was a mess in the best possible way. Finally the corn dog and fried chicken arrived. This was Hollywood’s first corn dog and was not a fan of it due to the taste of the coating. Whereas the Chick felt that it needed a smaller dog to properly balance the flavors and the dough was a bit undercooked. The Fried Chicken was right on the spot in terms of portion with approximately 20 pieces of chicken strips that were hot, steamy and full of flavor. We couldn’t taste all the 21 herbs and spices but the taste of cajun was all over it. After digging into the chicken we did notice that it was just a little bit overcooked/dry as you can also see by the dark color of the breading. However that didn’t stop Hollywood from smashing all the chicken pieces. The side ranch sauce was ok but seemed a bit thin. 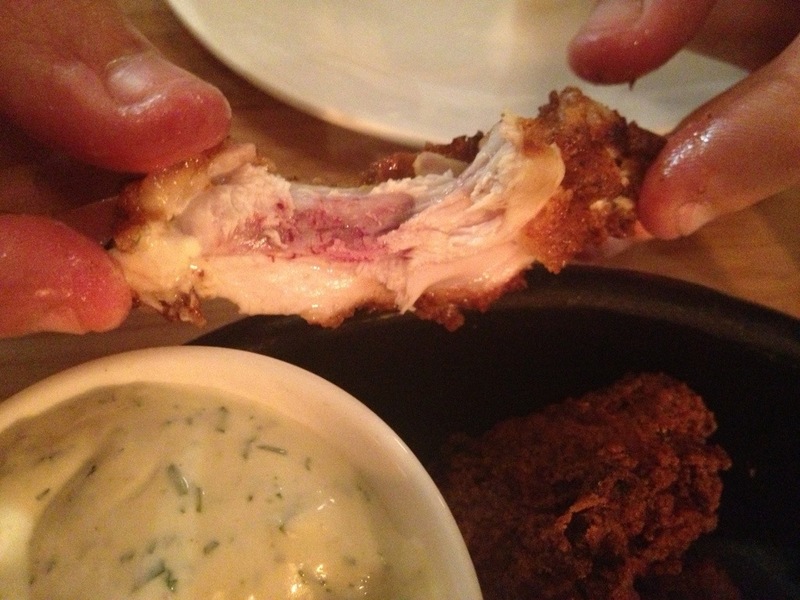 The herbs were fresh, but it didn’t have the right strength to match the fried chicken properly. The Chick went for the hot sauce instead. All in all, the chicken was good but the true stars of the show were the shrimp and crab and that’s probably the reason why it’s called a crab shack. 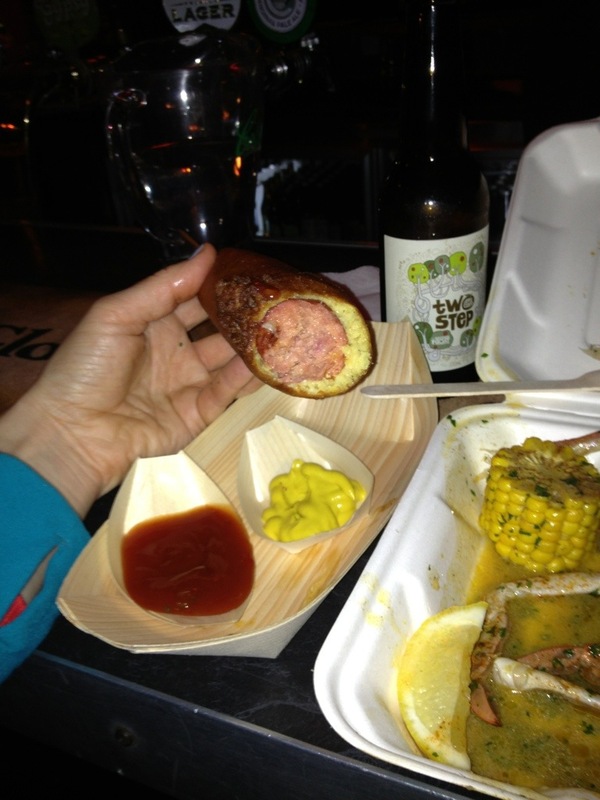 The Chick will remain vigilant for the best Aussie corn dog experience.